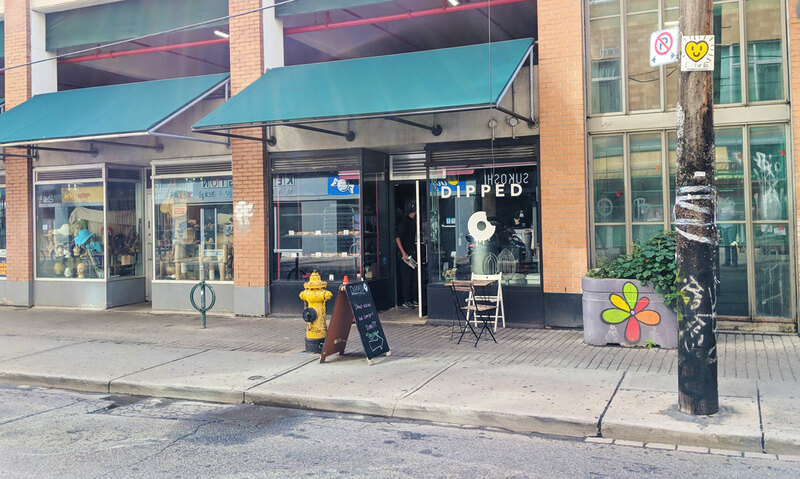 Though Dipped Donuts has been serving their tasty treats at various events throughout the city for a few years, they’ve only just recently opened a permanent outpost in Kensington Market. They keep things pretty simple; as far as I can tell, they only serve classic raised doughnuts — nothing with a cakey base, and on the day I visited, nothing filled (though they do have filled doughnuts in their rotation). Their menu mostly consists of quirky flavours like rosewater pistachio, mango ginger, and London fog. I tried the blueberry basil, and yeah, it’s good. The doughnut itself is a little bit more dense and chewy than the norm, which is actually quite satisfying. The glaze was seriously delicious, though I’ll admit that I couldn’t taste any basil flavour. It was bright and fruity, with a mild tartness and a pronounced blueberry flavour. It’s also admirably restrained in its sweetness; it’s basically the polar opposite of the in-your-face sugar bombs you’ll find at Krispy Kreme. Most of the time, I’m ready to tap out from the sweetness after one doughnut. Here, I could have happily eaten another one (or two). You can’t go wrong with doughnuts. Let’s face it: pretty much any time you fry dough and then add sugar to it, it’s going to be good. 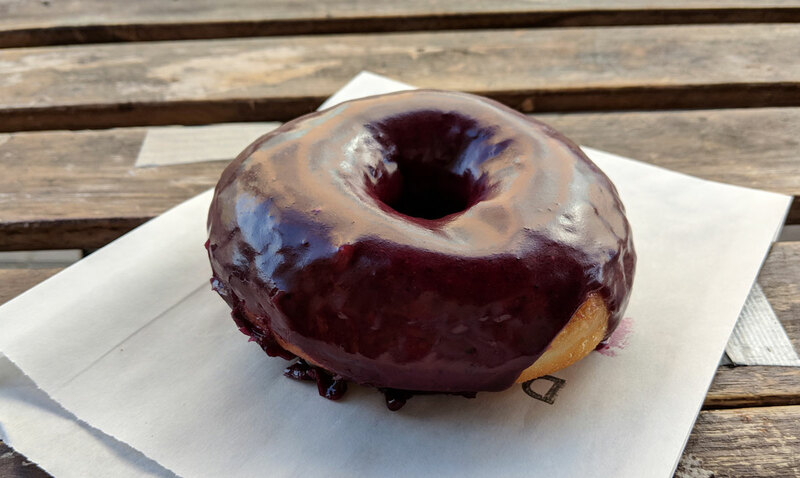 So of course, most countries have their own take on the doughnut, because again: you cannot go wrong. Literally cannot. 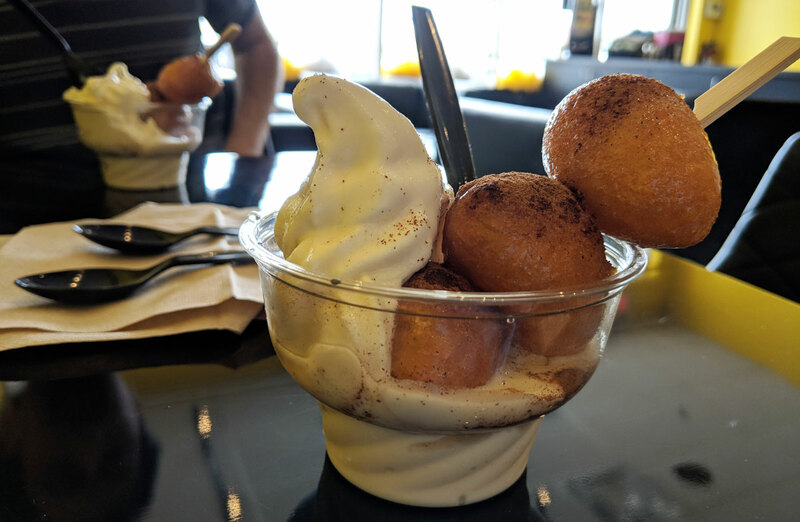 Greece’s version is called loukoumades, which is essentially a doughnut hole that’s been tossed in honey and seasoned with cinnamon. 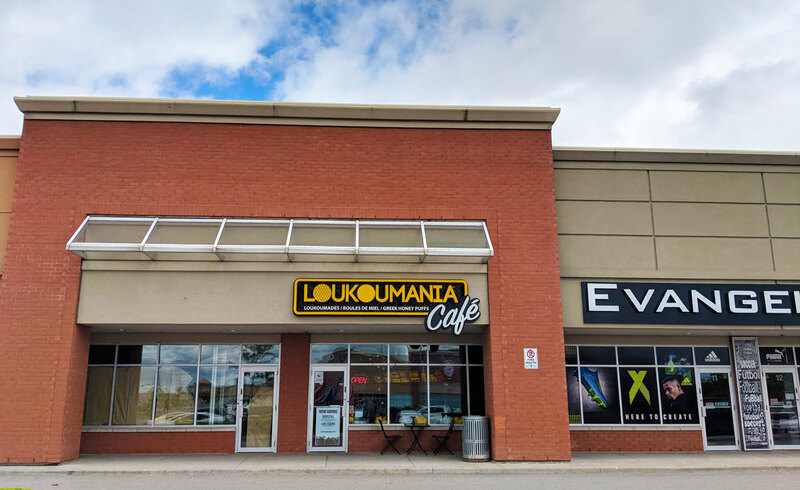 It’s great (at least if the version they serve at Loukoumania Cafe is anything to go by). I actually liked it a lot more than I was expecting to (and I was expecting to like it). The loukoumades were hot and fresh, with a pronounced outer layer of crispiness. The contrast between the crispy exterior and the fluffy, chewy interior was extremely satisfying. The flavour was great too, with the perfect amount of honey; it’s nice and sweet, but not overwhelmingly so. And the cinnamon takes it over the top. It’s fantastic. 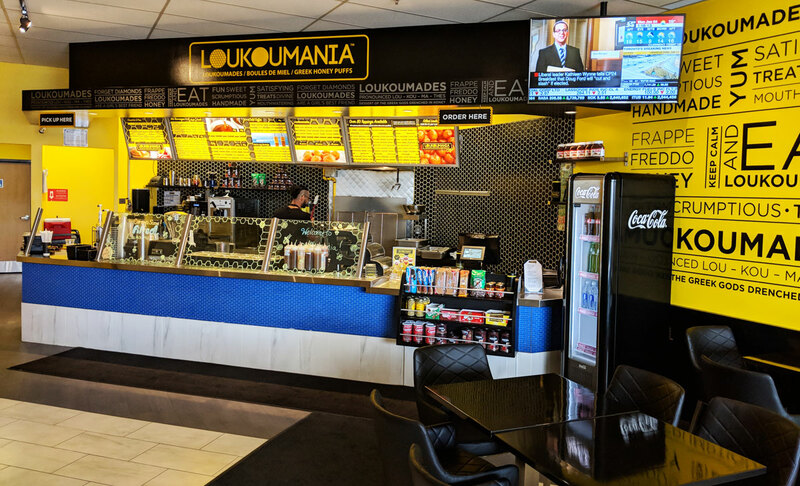 They have various sauces and toppings you can add to your loukoumades, but since they’re so great on their own, this seems superfluous. You also have the option to get them on top of ice cream. I did this (because I can’t say no to ice cream); it was a huge mistake. I won’t even mince words: the ice cream was flat-out horrible. It was cloyingly sweet and thin, with almost zero creaminess. It was almost as bad as what I recently had at Kiss the Tiramisu, which is saying a lot. The doughnuts are so good, though. Just skip the ice cream and get more of them. Though I find the vast majority of their doughnuts to be throat-burningly sweet, I really like the plain glazed doughnuts from Krispy Kreme. 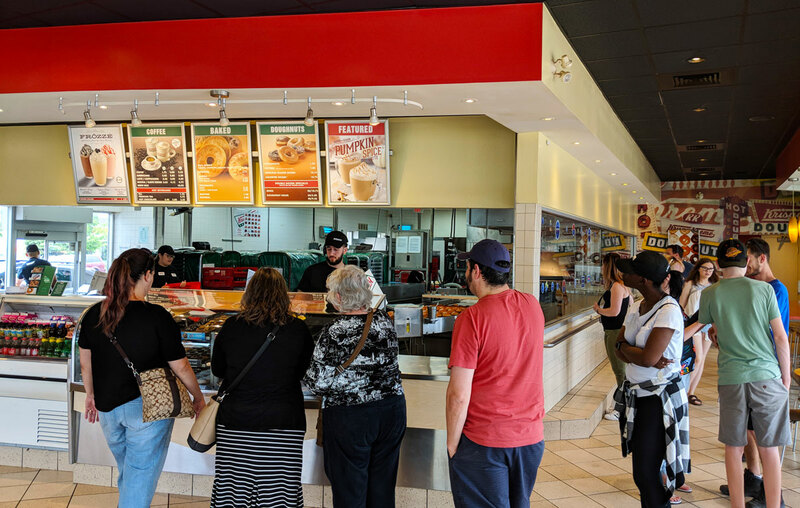 Maybe it’s just a nostalgia thing — my family used to take annual trips to Florida, and while we were there, hot Krispy Kreme doughnuts were a regular occurrence. There’s nothing subtle about a glazed Krispy Kreme doughnut. It’s basically just fried sugar; it’s a light, fluffy amalgam of pastry and sickly-sweet glaze that almost melts in your mouth as soon as you begin to chew it. It’s great. For a limited time (the promotion ends tomorrow, so hurry up if you want to give it a shot) Krispy Kreme is selling blueberry glazed doughnuts. Aside from a few dark flecks on the surface of the doughnut, it looks exactly like the standard version (it doesn’t even remotely have the day-glo blue of the promotional photos). 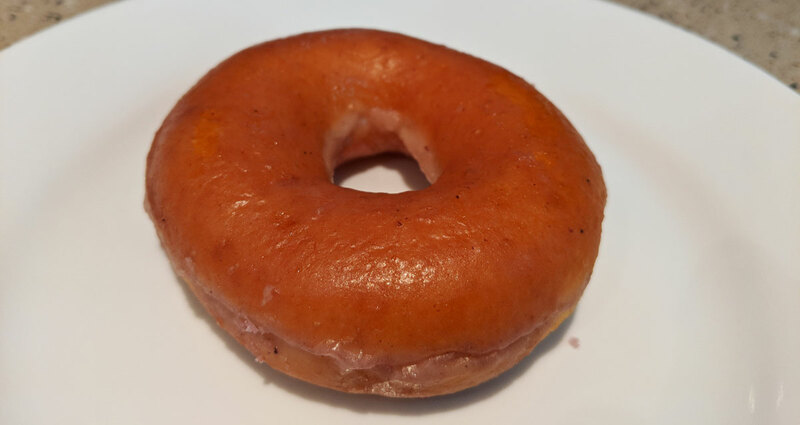 It’s quite tasty, but then it’s just a standard Krispy Kreme doughnut with a slightly tart, fruity flavour. It didn’t quite have the punch of blueberry flavour that I was hoping for, but it’s still quite tasty. I’ve been to Scaddabush a few times now, and it continually surprises me. 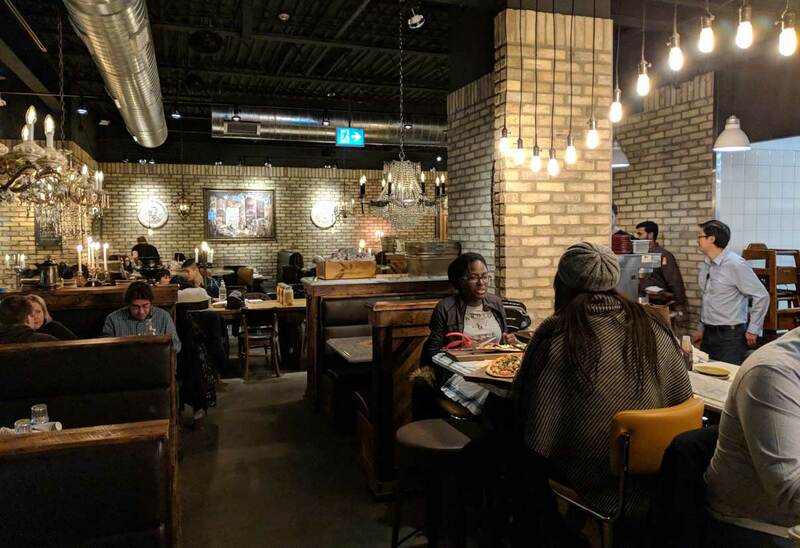 Not that it’s anything particularly special, but they serve consistently good food; for a casual chain restaurant in Canada, that’s a minor miracle. Granted, it’s easy to look good when your competition is dreck like Boston Pizza and East Side Mario’s, but we are where we are. The bar for a casual chain restaurant is low. And so Scaddabush, which is very keen to boast that they make their pasta and mozzarella in-house, is comparatively pretty amazing. 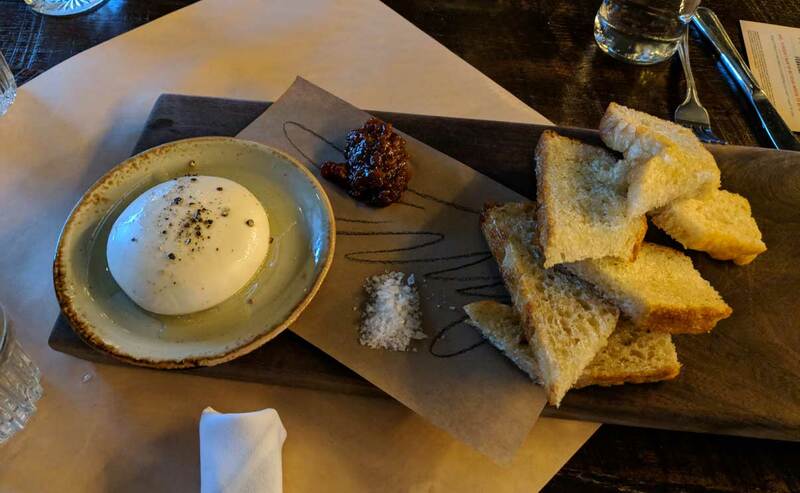 The fresh mozzarella is pleasantly toothsome, and with a bit of the sun-dried tomato spread on the side, quite tasty. 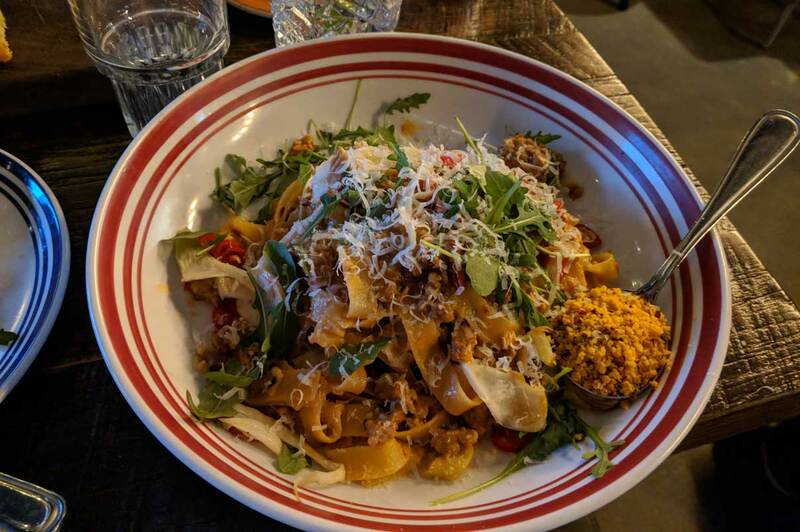 The roasted fennel and sausage fettuccine was one of the better pasta dishes I’ve had in a while, with a really nice interplay between the hearty sausage, the spicy pop of the sliced hot peppers, and the crispiness of the seasoned breadcrumbs. 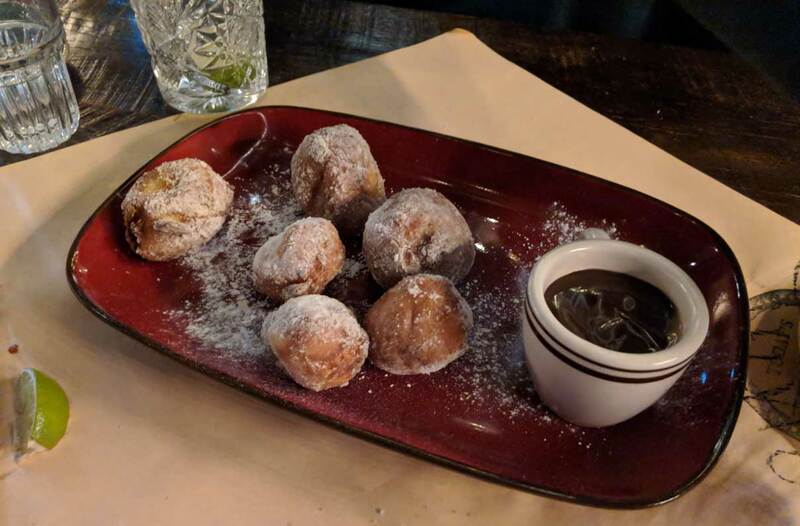 Alas, the meal ended on a sour note — the zeppoli tasted stale, with a sodden exterior and an unpleasantly sponge-like interior. The chocolate hazelnut sauce was fine, but was mostly just bland sweetness; there wasn’t much of a chocolate or hazelnut flavour.